Check out the video and see why Stephän has over 30k YouTube views. Stephän, America's Corporate Magician & Mentalist, can do more with a deck of cards than the brightest marketing minds can do with a flip chart. 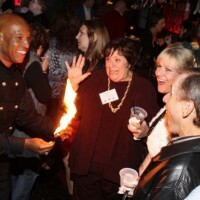 Stephän blends comedy, magic, mentalism and sales techniques in his performance, enhancing the bottom lines of America's corporate giants through proven marketing techniques. More than a million people have experienced Stephän's presentations. Clients include Philip Morris, Xerox, Case, Nabisco, Planet Hollywood and Viacom. Stephan was the Mega Magician for the South Florida radio station MEGA 103.5 and performed for Alonzo Mourning at Zo's Summer Groove. Stephan performed for Madonna's and Phil Collins' Hospitality Suites when they were on national tour. He has also performed for the late great tennis champion, Arthur Ashe; tennis champion, Andy Roddick; U.S. Presidential Candidate, H. Ross Perot; New York City Mayor Michael Bloomberg; recording artist, Celine Dion; and television star, Judge Hatchett. He performed on stage with celebrity Jasmine Guy and Tony Award Winner, Savion Glover. In August 2001, Stephan was seen performing one of Harry Houdini's Escapes, The Milk Can, in the streets of downtown Ft. Lauderdale. Stephan was chosen for one of the Nabisco Biscuit Company's most successful marketing programs called "Oreo...Unlock the Magic" Promotion. He is also called several times a year to perform on the "High Seas" by Florida's most popular cruises. Graduated from Virginia Commonwealth University, majoring in Education and Business, Stephan began performing at a very young age. At age 18, he was appointed Vice-President of the local chapter of The Society of American Magicians. In addition to performing, Stephan writes, produces, and directs all of his performances. He was contracted by the Jewish Community Center to develop and create a magic camp for children where they learned small tricks and actually performed a mini-illusion show for their parents. Not only has he worked with young children, but also he has taught magic classes to students at the alternative high school, Open High School, Richmond, Virginia. Stephan has appeared in movies, commercials, and educational films. In his spare time, He swims with the United States Masters Swim Team and continues to trade secrets with his magician buddies. Professional Affiliations: International Brotherhood of Magicians and The Society of American Magicians. Stephan was a pleasure to work with in every way. He kept our group engaged at every level and the audience participation piece of his show was "spot" on! I would definitely recommend Stephan to be considered for a part of any company's event as he and his show are of the highest quality. Stephan made our party a very fun, and memorable event. Everyone loves Stephan. He has a great personality on top of the magic. The next day everyone were still talking about Stephan. I would highly recommend him. Fabulous show. 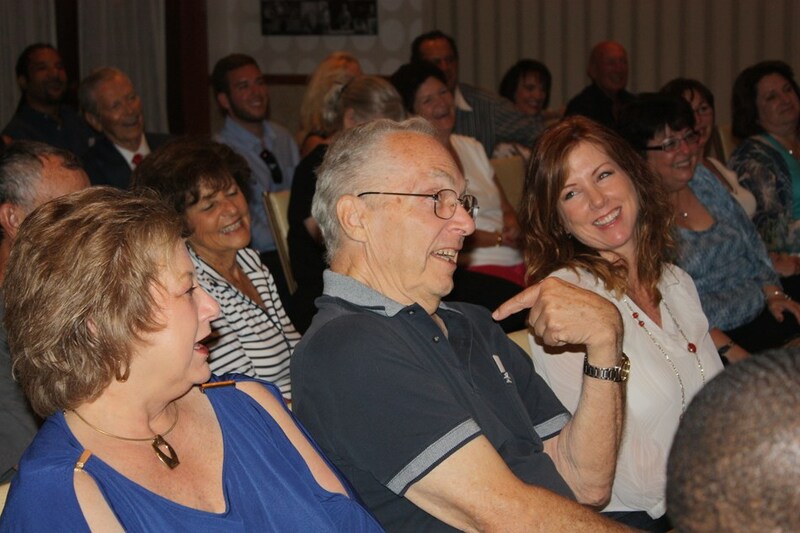 My guests were really impressed with his presentation as an entertainer, and how he involved so many people. And the magic tricks left us breathless. On my side, he could not have been easier to work with, or more pleasant. We'll definitely be calling him again. Me and my siblings live in Los Angeles so I hired Stephan to entertain at a party on Mother's Day at my aunt's house in Florida. He did an illusiongram ending with my mother turning over a card which said, "Have a magical Mother's Day" love All Your Children. She cried. He picked up and delivered flowers I purchased, bought sparkling wine in a silver bucket, and spent far longer than the agreed 10 min. My mother was estactic, as was my aunt. They said he made the party and everyone was raving. He's a gem! Stephan put on an amazing show at our elementary school FCAT pep rally. The students were excited about his magic and talked about the show long after. It was a very memorable experience for them. Stephan was also very accomodating of the extra legwork he had to do to for background checks and fingerprinting to be cleared for performing in our school district. Please note Stephan - America's Corporate Magician & Mentalist will also travel to Mount Rainier, Brentwood, Hyattsville, Bladensburg, Arlington, Capital Heights, Capitol Heights, Takoma Park, Adelphi Chillum, Cheverly, College Park, New Carrollton, Riverdale, Suitland, Alexandria, Bethesda, Chevy Chase, District Heights, Oxon Hill, Silver Spring, Temple Hills, Falls Church, Greenbelt, Lanham, Beltsville, Glen Echo, Kensington, Mc Lean, Southern Md Facility, Upper Marlboro.